So easy and delicious! 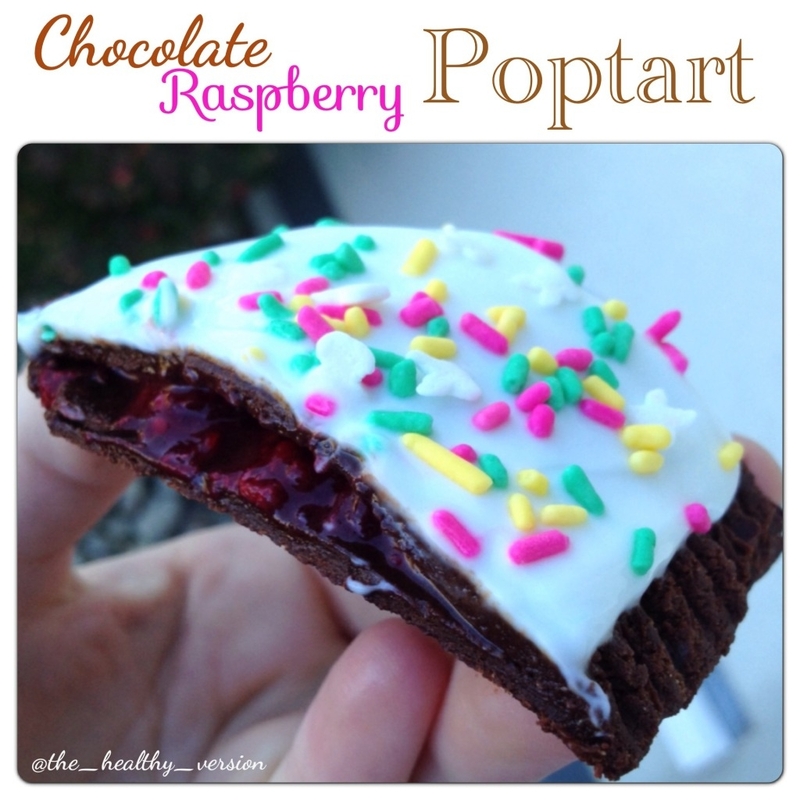 Make this with any flavor QuestBar and fruit filling! Microwave one chocolate brownie QuestBar for 10 secs. Roll out onto a piece of foil and cut into two rectangles. Microwave 8-10 frozen raspberries and mix with 1/2 tsp chia seeds. Put the raspberry filling on the center of one rectangle and place the other rectangle on top. Pinch the sides closed using the edge of a fork. The frosting is 1 tsp plain greek yogurt mixed with a tsp of vanilla protein powder. Spread over top of poptart and finish off with sprinkles!